The life story of Kashmiri nationalist leader Amanullah Khan, who recently passed away, epitomizes the rise of a territorial Kashmiri nationalism that transcended the parochial idea of an ethnic nationalism tied to Kashmiri language. Amanullah Khan’s nationalism drew upon a progressive Kashmiri Muslim cosmopolitanism and a secular internationalism. His life experiences spanning different cultural regions of Kashmir coupled with his international engagement with diverse nationality movements endowed him with a phenomenological awareness of pluri-ethnic and pluri-cultural nature of Kashmiri society. This predisposed him to articulate an inclusive vision for an independent Kashmir. Amanullah’s life history is also an unusual story of a man from a small community of Gilgit Muslims. Born in sparsely populated Gilgit, a politico-geographical periphery in the Srinagar dominated movement for Kashmiri self-determination, Amanullah went on to become one of the major icons of Kashmiri nationalism that touched Kashmiris across the Line of Control and beyond. His biography also reflects the challenges faced by a subaltern Kashmiri nationalism, an ideology that has resisted the hegemonic State-building projects of India and Pakistan and continued to thrive. His life story is also the story of Kashmiri nationalism and of Jammu Kashmir Liberation Front, JKLF, a party he founded and led with many ups and downs for roughly four decades. Amanullah Khan was born in 1934 in village Pari Shang in Astore, Gilgit, to a middle class family which traced its origin to Yaghistan, the land of rebels and inhabited by highland Pashtuns. He lost his father at the age of two, and his brother-in-law, Hashim Ali Khan, a Pathan from Haihama, who had been posted in Gilgit as a teacher for around a decade, assumed his guardianship. His brother-in-law was transferred to Haihama in 1939 and a year later he took Amanullah Khan along, a journey which lasted a week on horseback. Amanullah was to spend the next eleven years of his life in the Valley of Kashmir. Amanullah Khan did his schooling in what now constitutes the present day district of Kupwara. He completed his primary and middle school education at Haihama and Karihama, and high school from Handwara. While pursuing his education in Kupwara, he was an eyewitness to the 1947 India-Pakistan war, which divided Kashmir and his relatives by the creation of the Line of Actual Control. 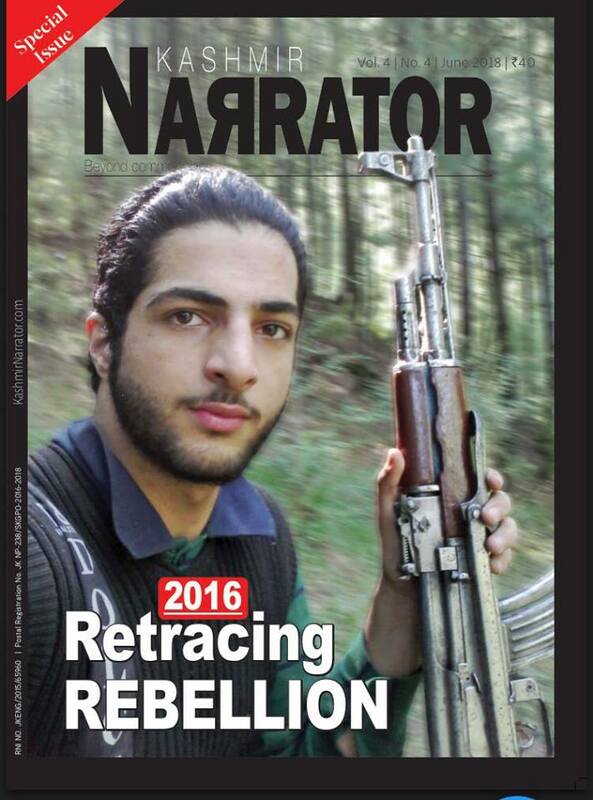 He had an early brush with political activism when he was a high school student in Handwara. In 1949, Amanullah Khan was in his 9th grade at Handwara High School when he became a courier for some of his pro-Pakistan Kashmiri Muslim teachers, carrying carbon copies of Pakistani newspapers and messages between them. As a result he was arrested and detained for a night. In 1951 he joined the SP College, Srinagar, where pro-independence politics dominated student conversations. Soon he was drawn to a secret group of pro-Pakistan students, who were involved in student protests in Srinagar, which followed the assassination of Pakistani Prime Minister, Liaqat Ali Khan in October 1951. As a result, the group came under police scanner and Amanullah left the Valley and arrived in Sialkot on 2 January, 1952. He spent the year in Peshawar and Rawalpindi and topped the Pakistan Air Force Pilot’s exam only to fail in the fitness test. His dream of flying a fighter plane was dashed to the ground but little did he know that he was destined to shape the history of Kashmiri nationalist struggle. In November 1952, he decided to head off to Karachi, which at that time enjoyed a reputation of being a student friendly city. The city would become his home for the next 24 years till his departure for England in 1976. His arrival and initial years in Karachi were marked by a long saga of hardships. Penniless, he did odd jobs in the city and slept on the street for six months. Many a time unable to afford meals, he would sleep with an empty stomach. As a self-respecting and proud person, he refused to take any help from his elder brother or from the extended family. A temporary job in the Census Department, which lasted for six months, eased his difficult financial situation. In 1953 he was able to gain admission in the Sindh Muslim Science College in Karachi, where he completed his FSc, and BA by 1957. In the same year he entered college, got employment as a teacher in a private school, which improved his finances. In 1954, while in College, he formed the Kashmiri Student Federation Karachi, which seemed to reflect his first major and yet tentative engagement with the question of Kashmiri national identity. By 1957 his growing intellectual engagement with Kashmir would lead him to consider the idea of an independent Kashmir favorably. When the decade of 1960 arrived, Khan had evolved into a clear-eyed Kashmiri nationalist. So in 1961 he started a monthly news magazine, Voice of Kashmir, to promote the cause of an independent Kashmir in Pakistan. The magazine lasted for three years and had to be discontinued for some unavoidable reasons. His zeal for education and political activism went hand in hand. He finished a Bachelor in Law from Sindh Muslim Law College in 1962 and was forced to drop out of a Master’s in Public administration due to his preoccupation with expanding his schools. In 1956 Khan had started a night school in his one bedroom accommodation. He worked 18 hours daily, juggling many part time jobs and giving lot of private tuitions to students to finance his school. By early 1960s, Amanullah Khan had established a chain of very successful private schools and a typing institute, which he later sold to fund his pro-independence activities. He would later lose most of his schools to Z.A Bhutto’s nationalization policy of 1972, which gave the government powers to take over private educational institutions. His increasing political activism on Kashmir brought him close to many in the Kashmiri diaspora in Pakistan who continued to yearn for their homeland and were supportive of the politics of Kashmiri self-determination. In 1963, Amanullah Khan, co- founded the Kashmir Independence Committee with Azad Jammu Kashmir State Council member GM Lone. The party supported the establishment of an independent Kashmir. In his autobiography Jehd-e-Musalsal, Amanullah Khan claimed that at the time of the party’s formation, the total number of Kashmiri nationalists in Pakistan, AJK and Gilgit-Baltistan did not exceed a hundred. The first convention of Independence Committee saw the participation of only 25 people, out of which 18 belonged to the Valley of Kashmir and Jammu. All the members of the Kashmir Independence Committee were to join the Jammu Kashmir Plebiscite Front (for Azad Kashmir and Pakistan) in 1965, which was founded in Sialkot by Abdul Khaliq Ansari, Amanullah Khan, Maqbool Bhat, GM Lone and few others. Though inspired by the Afzal Baigled Plebiscite Front in Indian-occupied Kashmir, it existed as an independent organization and advocated the establishment of a united and sovereign Kashmir State. In the wake of the 1962 Sino-Indian war, India–Pakistan peace negotiations on Kashmir came to a naught. The 1963 Bhutto-Swaran Singh talks ended in failure. In the run up to the 1965 India-Pakistan war, Pakistan sent hundreds of trained military men across the LoC to provoke an insurgency in Kashmir Valley, a move which failed. The lack of any forward movement on Kashmir after the 1965 war strengthened the realization among Amanullah Khan and Maqbool Bhat that Kashmiris needed to take control and ownership of the resistance in Kashmir. This paralleled the attempts of Palestinian Fatah leaders like Yasir Arafat and Khalil Wazir to establish the guerrilla organization, Al-Asifah in 1964-65, a shift towards a popular liberation war strategy than a reliance on Arab States to win Palestine. It was in this political backdrop that Amanullah Khan, Maqbool Bhat, Major Amanullah Khan and others formed the National Liberation Front, NLF, as a guerrilla organization. The international political climate also provided the impetus as the decades of 1950s and 1960s were defined by revolutionary fervour worldwide and many colonized nations were engaged in wars of decolonization. Amanullah Khan was deeply influenced by the Algerian guerrilla organization, Front de Libération Nationale (FLN), which was fighting for Algeria’s freedom from France. FLN had formed the Provisional Government of the Algerian Republic, government-in exile, to lobby for the support of Muslim countries, and had established a diplomatic mission in Pakistan. He knew the FLN diplomats in Pakistan personally and was acutely aware of FLN’s politics and guerrilla tactics. His engagement with the history of Algerian liberation struggle convinced him that armed struggle was the only way to achieve national independence. Thus Amanullah Khan and Maqbool Bhat formed the National Liberation Front, which was the English rendering of the Algerian, Front de Liberation Nationale. The NLF organizational structure was also inspired by the FLN. Besides the FLN, Amanullah Khan also maintained close ties with the Palestinian Fatah’s representatives in Pakistan. In March 1969, Amanullah Khan invited the Chief Representative of the Palestinians to attend the Jammu Kashmir Plebiscite Front Convention in Mirpur, AJK. NLF leaders like Amanullah Khan, Maqbool Bhat, and others also held memberships of the Jammu Kashmir Plebiscite Front (AJK & Pakistan) but NLF members formed a small minority in the Plebiscite Front. The Fatah representative was able to reach Rawalpindi from Karachi but was prevented by the Pak government from proceeding to Muzaffarabad. Amanullah managed to smuggle two of his Palestinian colleagues to the convention. The local administration tried to prevent the participation of the Palestinians but due to strong resistance by Amanullah Khan and Plebiscite Front supporters, allowed the Palestinians to participate, who also addressed the Convention. The Pakistani government was wary that the presence of Palestinian nationalists could arouse feelings of Kashmiri nationalism among the youth of AJK. Amanullah Khan not only mobilized support for Kashmir in Pakistan but also protested against the denial of civil and political rights in Gilgit-Baltistan. The region was directly controlled by Pakistan in wake of the 1949 Karachi Agreement between Muslim Conference government of Azad Jammu & Kashmir and federal government of Pakistan that gave the responsibility of administering the region to Pakistan. Many a time, Amanullah Khan and his colleagues were either prevented from travelling to Gilgit-Baltistan and arrested, or forcibly pushed back to Pakistan. The hijacking of the Indian airliner Ganga by the NLF in January 1971 led to a Pakistani crackdown on NLF, which suspected a collusion between one of the hijackers, Hashim Qureshi and the G Branch, the Intelligence wing of the Indian Border Security Force in the hijacking drama. Some 300 members of NLF, including key figures like Maqbool Bhat, Mir Abdul Manan, GM Lone and Mir Abdul Qayyum, and the two hijackers, Hashim and Ashraf Qureshi were arrested and tortured in prisons. Amanullah Khan who at the time of the hijacking was imprisoned in Gilgit was transferred to the infamous colonial era Shahee Qila prison in Lahore, where he and many NLF members were brutally tortured. After seven weeks of detention, Amanullah was released and he vigorously organized the legal defence of his NLF comrades. In 1969, Zulfikar Ali Bhutto had written a letter to Amanullah Khan and praised Maqbool Bhat as a great freedom fighter. Amanullah Khan presented the old letter in the court in support of Bhat’s political credentials. He also got the Editor of the Pakistan Times, Khwaja Mohamad Asif to publish the letter, which refreshed Bhutto’s memories of Maqbool Bhat. As a consequence Bhutoo gave instructions to Attorney General Yahya Bakhtiyar to give a due hearing to Maqbool Bhat. Except for Hashim Qureishi who served nine years in Pakistani prisons, Maqbool Bhat and other NLF members were cleared of the charges and released in 1973. In the 1974 convention of Plebiscite Front held in Mirpur, Abdul Khaliq Ansari was elected as the President and Amanullah Khan as the Publicity Secretary. Incidentally, pro-Indian National Conference leader, Farooq Abdullah who was on a visit to Pakistan attended the convention and forcefully supported the Front’s ideas. Later on Farooq Abdullah addressed pro-independence public rallies in Muree, Rawalakot, Muzaffarabad, Sialkot and Lahore, where he was accompanied by Amanullah Khan and Maqbool Bhat. Amanullah Khan moved to England in 1970s, where he spent ten years of his life promoting Kashmiri nationalism and garnering support for an independent Kashmir. Amanullah’s migration to England was spurred by Plebiscite Front leader, Abdul Khaliq Ansari’s decision to travel Britain to receive medical treatment for his eyes. Ansari invited Amanullah Khan to join him in England. Amanullah arrived in England in 1976 where he worked with the Plebiscite Front, England, which maintained close ties with Plebiscite Front For AJK and Pakistan but existed as an independent organization. In 1977, Amanullah Khan with support from Abdul Khaliq Ansari created the Jammu Kashmir Liberation Front in Birmingham to replace Plebiscite Front and extend its reach beyond some Azad Kashmiri clans in Britain. Kashmiri diasporic politics in Britain was riven by clan divisions (Biraderi based divisions) and most members of the Plebiscite Front in England belonged to Abdul Khaliq Ansari’s Biraderi. The establishment of JKLF, according to Amanullah Khan, was an attempt to expand the circle of Kashmiri nationalist politics in British Kashmiri diaspora. During his years in England, Khan was registered as a journalist. He published a newspaper The Voice of Kashmir International to create awareness about the Kashmiri independence movement. He met Algerian revolutionary leader, Ahmed Ben Bella, established ties with close associates of international leaders like Yasir Arafat, Colonel Gadhafi, took part in pro-liberation protests of Kashmiris, Palestinians, Khalistanis and marched in solidarity with opponents of then South African Apartheid regime. He also attended the Muslim Nationality Movement Conference in Britain in 1979, which was presided over by Sudan’s Sadiq Al Mahdi, former Prime Minister of Sudan and head of the Sudan’s Ummah Party. The conference elected Sadiq Al Mahdi as its President and Amanullah Khan as the General Secretary. They were given the responsibility of chalking out a future program of action. Amanullah pushed for the recognition of Kashmir as a distinct nationality movement, which was approved by most of the delegates but Pakistani representative’s strong opposition meant that only the Kashmiri right to self-determination as per UN resolutions on Kashmir was recognized. It served as a familiar reminder of Indian efforts to block his attempts to gain recognition for the Kashmiri national movement in the Afro-Asian Conference or in the Non-Aligned Movement. From England, he travelled to New York to lobby with diplomats at the UN. He met with representatives of various liberation struggles like PLO, POLISARIO of Western Sahara, SWAPO of Namibia, Moro National Liberation Front of Philippines, African National Congress and members of Puerto Rican nationalist groups, nationalist groups from Malay Muslim region of Patani in Southern Thailand, Tamil nationalists, Afghans and Khalistanis. He even engaged in conversations with many of these groups to forge a united international front of liberation struggles but the endeavor did not succeed. Destined to play an important role in Kashmir politics, Amanullah Khan’s deportation from England to Pakistan towards the end of 1986 enabled him to lead the creation of JKLF as a guerrilla organization in Kashmir when youth from Kashmir Valley crossed the LoC for arms training in 1987-88. On February 3, 1986, Kashmir Liberation Army, a shadow group of JKLF in England abducted Ravindra Mhatre, India’s Assistant High Commissioner and incharge of the Birmingham Consulate. The group demanded Maqbool Bhat’s release in exchange for Mhatre. The Indira Gandhi-led government refused to negotiate and three days later, Mhatre’s dead body was found on a highway in England. Some JKLF members in England including Amanullah Khan, Raja Abdul Qayoom, Sidiq Bhatti and Riyaz Malik were arrested in connection with the diplomat’s murder. Raja Qayoom and Sidiq would serve 22 and 13 year sentences respectively in British prisons. Khan received a prison sentence lasting for a year and three months. He was cleared of the charges but deported to Pakistan in December 1986. He dubbed the judicial verdict as a political verdict, prejudiced by British political considerations to appease India, especially at a time when Britain was negotiating the sale of Jet fighter aircrafts to India. The Guardian newspaper criticized the British Home Minister’s decision as arbitrary and likened it to the Edward Heath-led Conservative government’s expulsion of German Marxist and radical youth leader, Rudi Dutschke from England in 1971 on the vague grounds of safeguarding British national security. In 1988, JKLF received an offer from Pakistan to help train Kashmiri militants. Dr Farooq Haider, a senior JKLF leader informed Amanullah Khan that the party had accepted the Pakistani offer only after assurances of unconditional support had come from ISI Director General Akhtar Abdul Rehman and President Zia-ul-Haq. The General had ironically refused a request by Amanullah Khan in 1979 to support an armed struggle in India-occupied Kashmir. Amanullah Khan was not pleased that Haider had accepted Pakistani support without apprising JKLF’s Central Committee of the matter. However, Haider justified his decision by arguing that he had gained approval of senior party leaders like Raja Muzaffar and Sardar Rasheed Hasrat. Nevertheless, Amanullah Khan took active charge of the JKLF’s operations in Azad Jammu Kashmir. For the JKLF youth crossing the LOC for arms training, he remained the defining face of JKLF in Azad Kashmir. Despite substantive financial resources at his disposal, Amanullah Khan practiced a kind of revolutionary asceticism, eating little, and working for long hours in his office to write pamphlets, letters and memoranda. Working regularly late into nights, he would often end up sleeping on a sofa. According to Kashmiri resistance leader Azam Inquilabi, when JKLF started to train Kashmiri militants, Amanullah Khan initially insisted that new recruits show their commitment to the Kashmir liberation struggle by signing their oaths in blood. The more religious minded ones from the Valley of Kashmir like Azam Inquilabi insisted to take the oath of allegiance by swearing on the Qur’an, to which Amanullah Khan relented. Later Amanullah Khan was to emphasize that Kashmir was a Muslim nationality movement and not an Islamic movement. The distinction was meant to emphasize JKLF’s recognition of the Muslim majority character of Kashmir but more importantly to highlight a Kashmiri Muslim cosmo-political approach that positively engaged with ethnic and religious minorities. Many of his companions from the Kashmir Independence Committee, Jammu Kashmir Plebiscite Front For Azad Kashmir, JKNLF and JKLF were refugees or children of Muslim refugees who had survived the gory partition violence in Jammu. Yet Amanullah Khan and most of these activists swore by a progressive Kashmiri nationalism that was free from religious prejudice. He envisioned an independent Kashmir with a parliamentary, non-majoritarian federal system and proportional representation for minorities. The political system would ensure equal autonomy to all constituent provinces and establish a welfare state. Amanullah’s conception of a future Kashmir State seemed to reflect a strong consociational model of democracy. However, to attain his goal, he maintained a belief in armed struggle. Though in practice, he was more of a revolutionary political organizer and diplomat than a guerrilla commander. In 1992, he would lead thousands of JKLF supporters in an attempt to cross the LoC near Chakothi in Azad Kashmir. The march undertaken to protest the continued division of Kashmir and press for its unification and independence was foiled by Pakistani troops, who shot dead seven protesters and injured dozens. His enthusiasm to promote the Kashmir struggle internationally took him to a Kashmir Conference organized by the European Parliament in October 1993 but an Indian complaint to the INTERPOL led to his arrest in Brussels. He was released after spending two and a half months in imprisonment. Belgium refused to extradite him to India and he was sent back to Pakistan immediately after his release. Two years later, Amanullah Khan disowned JKLF leader Yasin Malik, who had declared a unilateral ceasefire after his release from prison in 1994. Khan advocated a continuation of the armed struggle and termed Malik’s action as unauthorized and an instance of gross party indiscipline. However, with the exception of Commander Shabir Sidiqui and around 40 of his supporters who pledged their allegiance to Amanullah Khan, the JKLF cadre in the Valley rallied behind Yasin Malik and declared their independence from Amanullah Khan’s leadership. Malik also joined the Hurriyat Conference, which endorsed his faction. The infighting in JKLF split the organization between Amanullah Khan-led faction, which remained dominant in Azad Kashmir and Britain, and Yasin Malik-led faction, which dominated in Indian occupied Kashmir. The two JKLF factions reunited in August 2010 after Yasin Malik visited Amanullah Khan in Azad Kashmir and Rawalpindi. Suffering from Parkinson’s disease and a general decline in health, Amanullah Khan had been ill and bedridden when Malik visited him. Towards the conclusion of the meeting, Amanullah Khan tried to stand up to bid farewell to his former comrade but weakness overcame him and he fell down. Anticipating he didn’t have many years left in him, Amanullah Khan, in an emotionally choked voice, made a fervent request to Yasin Malik to help in the reunification of JKLF. Malik was overwhelmed by the emotionally charged moment and readily agreed. Amanullah Khan was elected as the Supreme Head of the reunited JKLF and Yasin Malik as its Chairman. It was to prove to be his last attempt to rejuvenate a party hit by factionalism. Despite poor health and old age, he remained active in promoting the ideology of a united and independent Kashmir. In February 2016, JKLF opened its office in Gilgit, which was inaugurated by Amanullah Khan. As much as it was a sign of Pakistani state’s changed attitude in allowing Kashmiri nationalist groups like JKLF to operate in a territory, which was hitherto out of bounds for them, it also spoke of Amanullah Khan’s political adroitness in dealing with the Pakistani State. Some radical Kashmiri nationalists in AJK and Azad Kashmiri diaspora in Britain pilloried him for going soft on Pakistan or for his refusal to draw equivalence between India and Pakistan with regard to the question of Kashmir but most of his critics conceded that his contribution to the Kashmiri nationalist movement was beyond doubt phenomenal.